We partner with businesses and non-profits to listen and understand their needs and desire for a data-driven, cloud-based business application to solve their business problems. We develop custom Salesforce applications to streamline your business operations, reduce costs, increase efficiency and productivity and store your data securily. Whether you're looking for a local Calgary Salesforce Administrator; Developer or Consultant, we've got your covered. We have the skills and experience to analyze, develop, maintain and support your Salesforce CRM. Our Salesforce consultants work remotely and seamlessly together as a cohesive team (hence "Fusion") to expeditiously solve your business challenges with Salesforce solution. Whether you're located in Western Canada (Vancouver, Kelowna, Calgary, Winnipeg), or Eastern Canada in Southwestern Ontario in Windsor, London, Kitchener-Waterloo; or international in the United States, we can fully support you and work online to implement the best Salesforce CRM that your business or organization needs. Salesforce is the #1 CRM system in the World, used by small non-profits under 10 people to large corporate enterprises. It is a feature-rich, robust and scalable CRM that is easily customizable to meet your business requirements. A Customer Relationship Management (CRM) system will help you to track your leads, contacts, accounts, opportunities, reports and analytics to help you manage your business effectively. You're in good hands with our experienced and passionate team of Salesforce professionals. We work closey with you as your dedicated and trusted Business Technology Consulting Partner to implement Salesforce CRM that your non-profit craves. Common to many non-profit organizations are many unique and complex challenges that must be understood, discussed and navigated correctly in order to roll out a successful Salesforce CRM. How many challenges are you currently facing? Not enough budget, business requirements too complex, limited resources, no in-house technical expertise, ambiguity, leadership or direction issues, non tech-savvy users, no user buy-in, resistant to change, lacks vision/near-sighted, competing priorities or requirements, constant change during development, no time, money, or resources to learn or train users, don't know where to start, unsure of the ROI. These challenges are not unusual to many non-profits, and we've worked within and overcame many of these challenges to succeed in delivering a Salesforce solution for non-profits. In fact, we thrive on these challenges and continues to build unique non-profit project framework and solutions. We're flexible and adaptable to work with and are known to overcome these challenges. You want to ensure your success for the best non-profit Salesforce CRM solution and work with an experienced Calgary Salesforce Consultant. "I worked with Chris during the Salesforce implementation process at Wycliffe, while I was a business user there. With few resources, Chris was able to design and roll out a powerful platform across multiple channels and units. This was no easy task, and having worked closely with systems integrators since this time, I appreciate all the more Chris' professional and good work." "I worked with Christopher as he custom set-up and implemented Salesforce for our teams across Canada. His always positive attitude, ability to carefully listen, advise as to how best to proceed, then quickly carry through resulted in a contact management system that makes sense to team members and works well. I found Chris excelled in problem solving coming up with solid solutions, which were then implemented. I do not hesitate to recommend Chris as a man of integrity, and as a creative problem-solver who has the technical skills required for such projects." How are you currently managing your business and clients (manually, paper-based, Excel)? 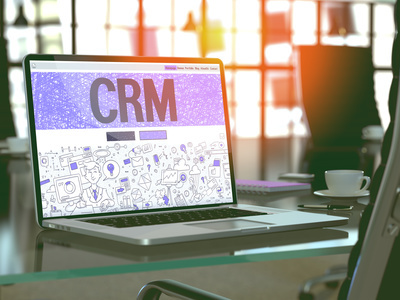 Many businesses can't or won't grow effectively without a CRM - it is that vital to your business success. Many business owners are frusterated with their out-dated and incomplete business management systems and don't have the time or expertise to analyse their business processes and effectively design a complete solution. We are here to help you! We provide customizable CRM solutions to meet your complex business requirements and save you time! We are knowledgable in CRMs like Salesforce.com and Zoho.com to help organize and simplify your business. Our CRM services encompass understanding your current business and processes, future endeavours, setting up objects, fields and page layouts, providing customizations and automations, module add-ons, workflow rules and time-based actions, cleaning up raw data files and importing data into your CRM, testing functionality and user training. Our team of CRM experts will work to ensure that your new CRM business system is fully optimized and established as the foundation of your business growth and success. Speak with one of our Sales Consultants today to discuss the best technology solutions you need to grow your business.